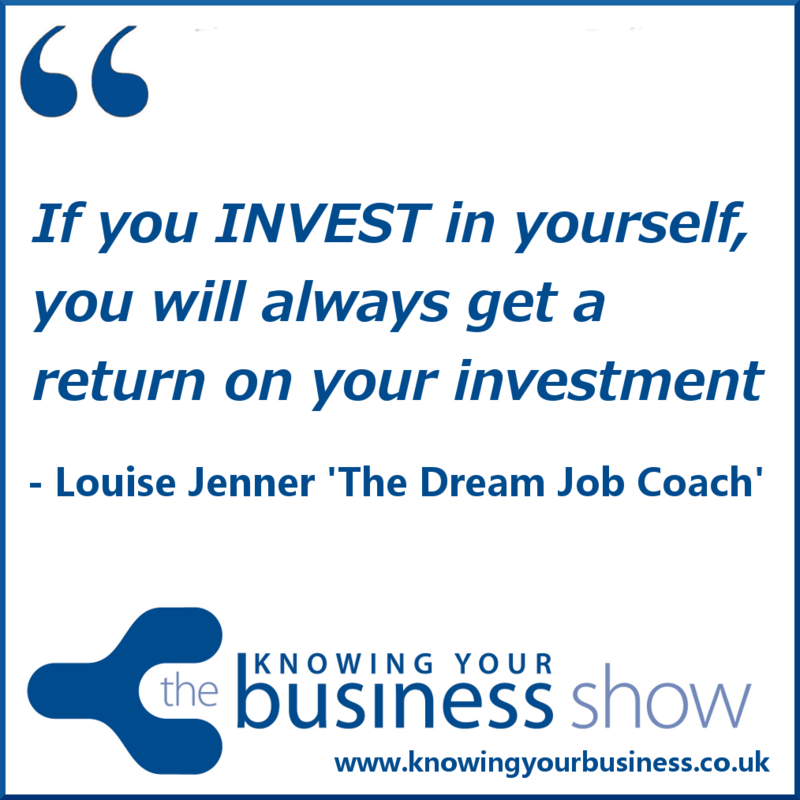 Our Interview with Louise Jenner The Dream Job Coach was based on her work in inspiring individuals and businesses to achieve their goals. The show topic was all about New Year’s resolutions. A time where people pledge to make positive changes, think big, and refuse to let those naysayers who dream too small deter them from their own goals. We asked Louise how can someone turn their inspiring New Year resolution of finding their dream job, and make that into a reality. Louise has supplied us with 10 hots tips for your learning pleasure. This interview was broadcast on Radio Horton 27th November 2014. The podcast of the live radio interview is available further down the page. 1. Believe in yourself and your dreams. Your dream job will make your working life a happy and satisfying one. The job that you think you should do, might not! Other people may hold back from encouraging you because they love you, because they worry how you’ll feel if it doesn’t work out or because they can see something alight in you, that they let go dim in themselves. Understand that they mean no harm; they just don’t want to take responsibility for your life – and why should they? That’s your job! Go on, blow your own trumpet, show off for once and write down the stuff you’re really good at. It may help to ask your friends or family what they believe are your strengths. A strength is something that you’re naturally good at, rather than some skill that you’ve worked hard to develop. Perceived weaknesses can be strengths in disguise! For example, you may believe that you are indecisive. In certain situations though, being able to see all the possible outcomes can be a strength. Caution can prevent rash decisions and mistakes being made. It can also help to diffuse arguments and bring clarity to discussions. Whether you’ve achieved in your current role or during a career break, it’s important to be able to tell the story of how you did it. Keeping an achievement log is a great way to keep track of your successes. As well as researching job sites like www.glosjobs.co.uk and registering with relevant recruitment agencies there are many other strings to your dream job search bow. Utilise social media, keep your eyes peeled for job advertisements as you are out and about and buy newspapers / trade journals that you wouldn’t normally buy. Be open to opportunities and you will attract them towards you. 5. Listen to what your friends are telling you. When they mention someone’s leaving / retiring / unhappy at work it could mean that there’s a vacancy coming up. Remember, it’s horses for courses; just because someone else didn’t like or get on at a certain company, it doesn’t necessarily mean you won’t! 6. Make a list of companies and organisations that appeal to you and do your research. Visit their website and Google them for other information and news stories. Then, if you still like the look of them, make contact. Even if they aren’t hiring right now, what’s to say they won’t be tomorrow or next week? Set up Google alerts so that you don’t miss anything important. 7. Create your CV and make sure it’s tailored to your dream job at that company. Ensure that your personal profile is just that – personal! Unique to you. If you read it back and realise that it could be about anyone, start again! 8. Construct a Cover Letter to the person that will be making the decision about who to interview. (Don’t know their name? – Find out!) – Make it personal and explain clearly and concisely what you can do for them! The best way to ensure that your CV and Cover Letter reaches the correct person is to deliver it by hand. If this is not possible, follow up with a phone call and politely ask whether it has been received. You may get lucky and strike up an impromptu telephone interview there and then so be prepared! 10. Give yourself the best chance to make a great first impression, on the day of the interview. Be early! Polish your shoes. Take a spare tie (in case of coffee catastrophes!) Wear a big smile and relax. The interview is simply a conversation. It’s as much about you finding out whether that company is right for you, as it is about them deciding if you’re right for the job. Louise has enjoyed 20 years experience in hospitality and retail management. Now Inspires people just like you to find your dream Job! She is also a coach, blogger, mentor, speaker, CV and Online profile writer. Known as practical,encouraging and friendly. A little 1:10 second snippet into what Louise is doing to help individuals and businesses. 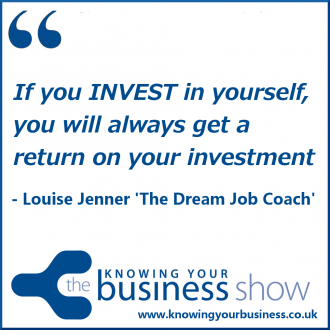 The frustrations of screening out potentially good people at the interview process motivated Louise to create the brand “The Dream Job Coach”. We hear in this 2:01 second clip some of the common failings of applicants. You can hear the full compelling interview with Louise Jenner right here. The Dream Job Coach will help you identify your dream job. Improve your cv, online profile, cover letters and interview skills so that your dream job becomes your real job! Let’s improve your cv, online profile, cover letters and interview skills so that your dream job becomes your real job! If you have any questions for Louise, or would just like to leave a comment, please do.